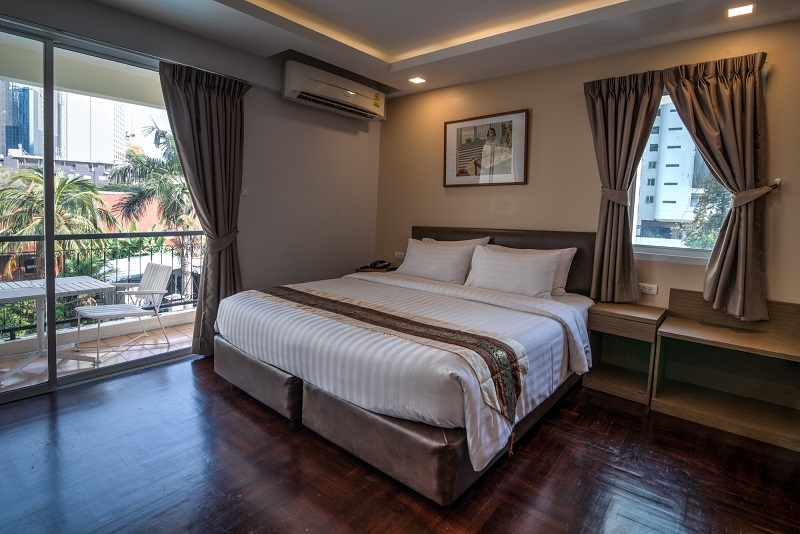 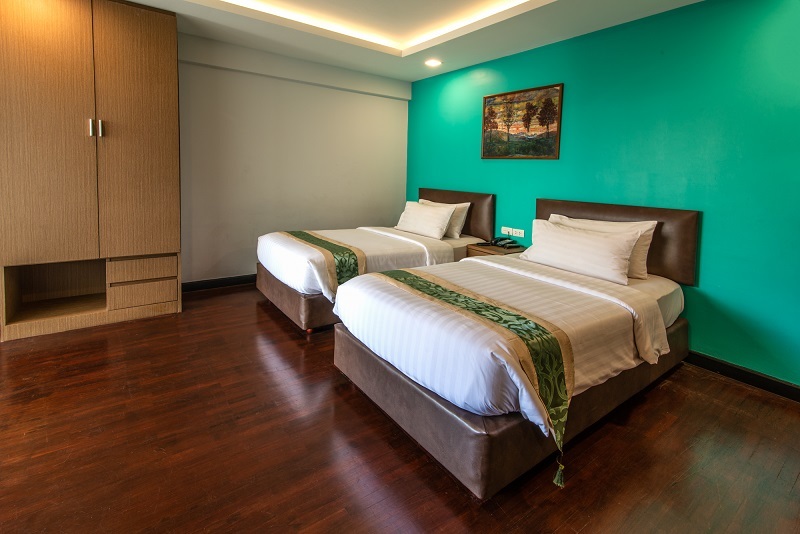 Affordable and extremely comfortable accommodation in Bangkok - the Stable Lodge Hotel Bangkok on Sukhumvit Road is located in the centre of Bangkok with charming en-suite rooms featuring cable TV, telephone, mini bar, air-conditioning, hot and cold showers and each room has a private balcony. 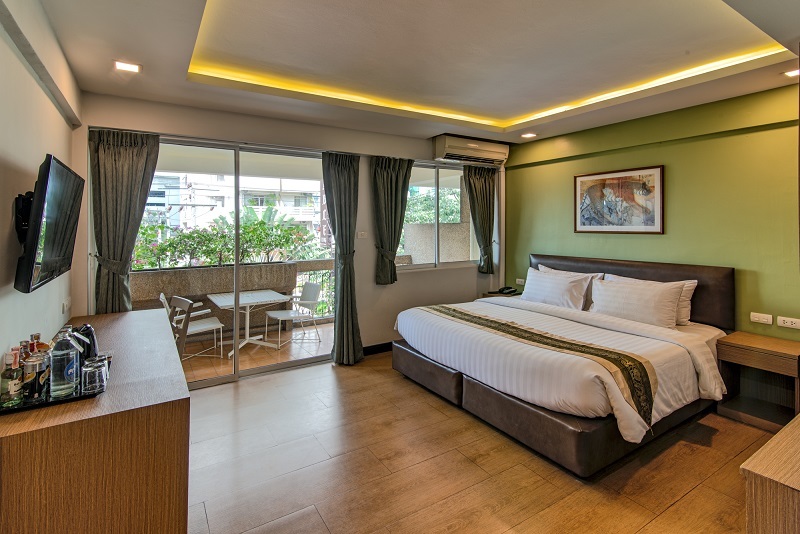 Enjoy the cool of a Siam evening and the sunset with a favourite cocktail in your hand and relax in the gardens or by the pool. 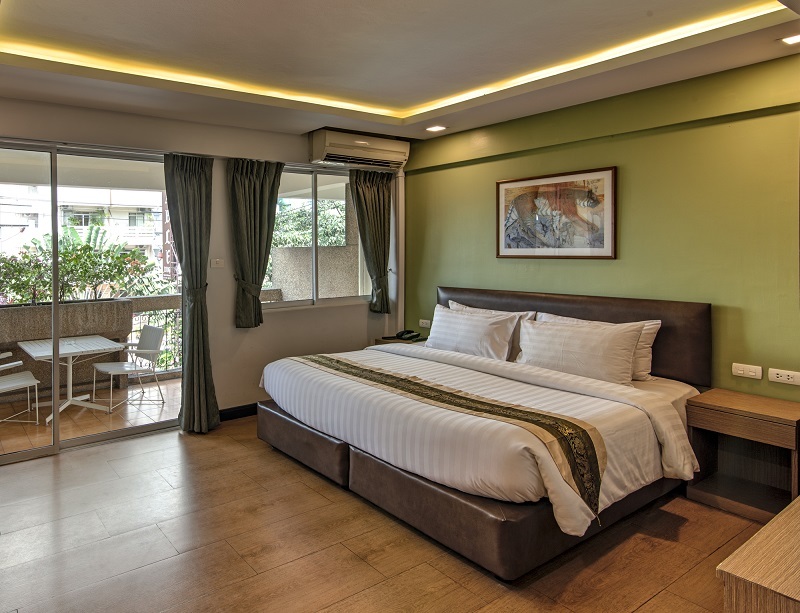 All double rooms have a balcony, fridge, minibar, air conditioning ,TV, view from the balcony overlooking the pool to the back side. 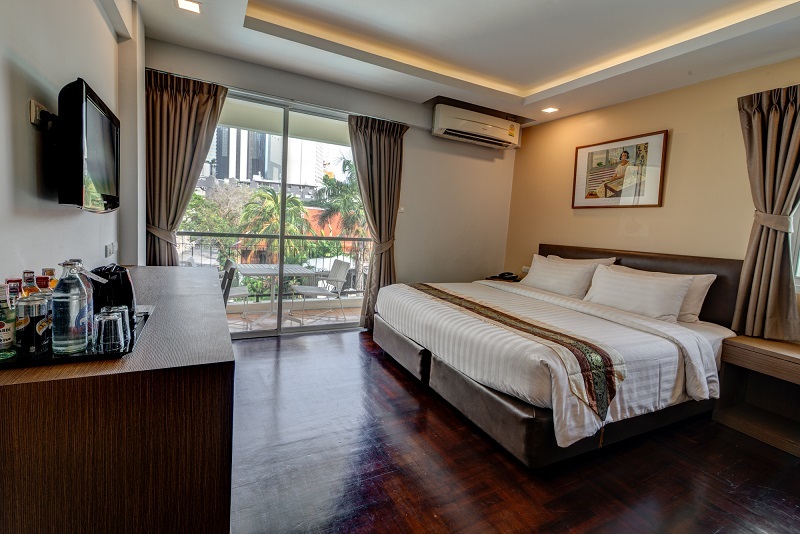 All double rooms have a balcony, fridge, minibar, air conditioning ,TV, free Wi-Fi, view from the balcony overlooking the pool to the front side.